1. 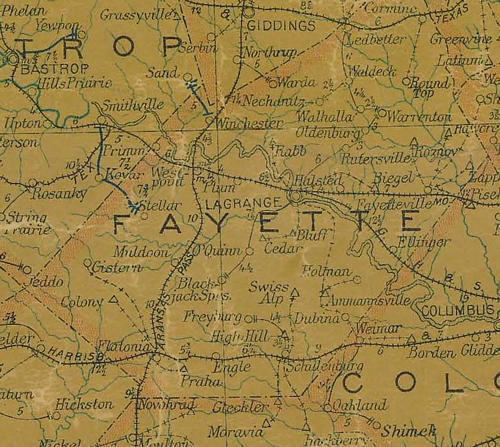 Located east of the Indian Creek settlement and south of Nechanitz in the J.R. Phillips League. 2. An early American settler was J.T. Campbell. 3. Settled predominantly by German settlers who arrived in the 1870s. 4. John Gau, one of the first settlers, arrived in 1873 and named the community after his home town, Mecklenburg, Germany. 5. The only business in the community was a cotton gin. 6. 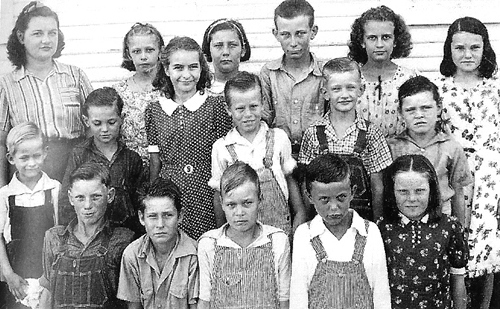 The first school was called Cedar Creek that was a mile away from the second school; however, when it rained, no one could get to school, so the school was moved to Mecklenburg. 7. 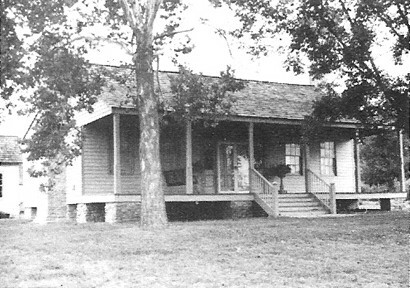 John Gau donated land for the white school, built in 1878; it was located near the intersection of FM 2145 and FM 2981; in its earlier days it averaged from 40 to 50 students for grades first through seventh. 8. In 1934-35, there were six students in that school, which closed in 1941; however, there were 60 black students in their school. 9. There were two cemeteries, one known as the Hickory Ridge Cemetery, a very old site with both white and black people buried there. In 1958, it was located on the Marvin Heinecke farm near Luther Hill.